REACH provides your organization with a complete child sponsorship management solution to help you sponsor more children, teachers etc. 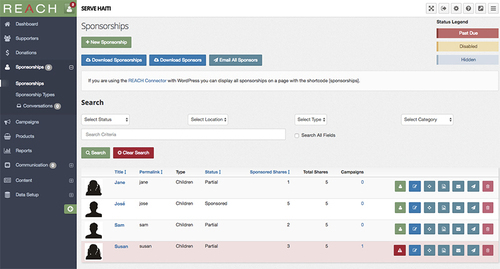 Our software solution is simple to use and effective for managing your child sponsorship program and works with your existing website. Built with the needs of non-profits in mind, REACH offers an affordable pricing structure regardless of the size of your organization. Our goal is that REACH will save your organization time and resources by streamlining many aspects of your child sponsorship program.